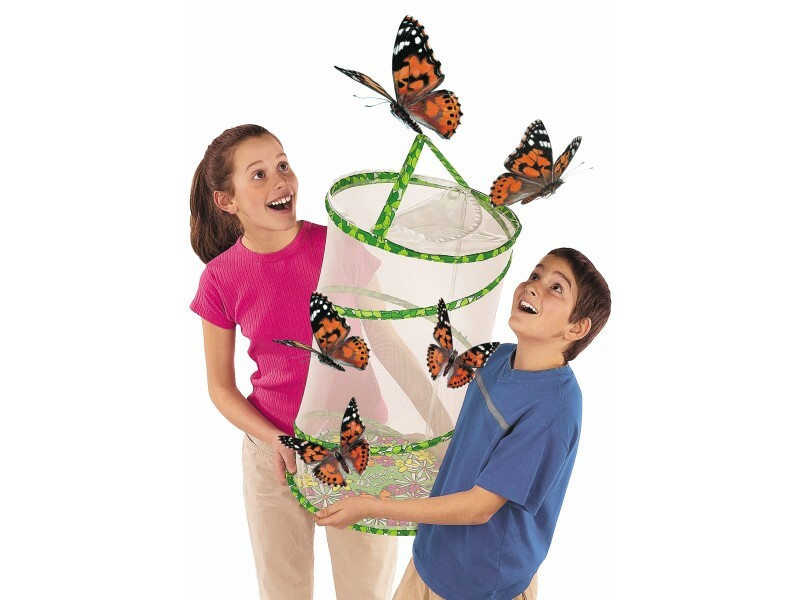 Our large classroom butterfly set is ideal for schools and nurseries to teach children the wonders of how caterpillars transform into beautiful butterflies. The set consists of a large net (60cm high) , a certificate which will enable you to order 33 caterpillars, a feeding pipette for the butterflies, instruction guide, fun fact sheet with word games, a booklet with a mini-lesson and drawings to colour. 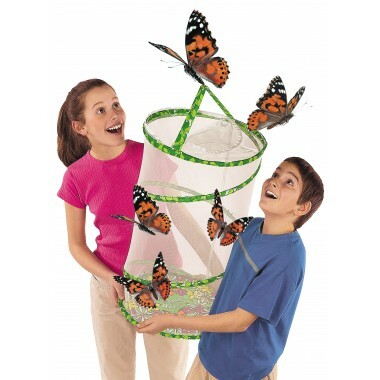 NB: The set includes a pre-paid coupon for 33 caterpillars for you to redeem online or by post. The caterpillars are available from the end of February to Mid September (exact dates are dependent on weather). The first dispatch date for 2015 is 27th February. However, if the weather is below freezing the dispatch date will be delayed.